Due to growing construction industry dependant on wood, 4 million rapid growing trees are planted daily for industry harvesting. 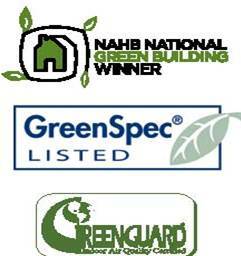 • The National Green Building Standard (NGBS) the very first ANSI consensus standard on sustainable green building for residential construction was published recently. 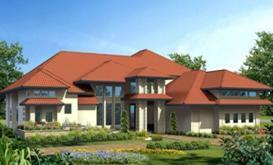 It was co-developed by the ICC and the National Association of Home Builders (NAHB). It is intended to be used as an optional standard that can be adopted by a municipality to incorporate green building standards into their community. It specifically makes reference to alternate materials to be considered for residential construction, such as straw, logs, rammed earth, adobe, etc. The ICC is currently developing a commercial version of the NGBS, titled the International Green Construction Code (IGCC), which is currently set for completion in 2011, and is also intended to be a basis for green materials used in construction. Both of these documents are meant to encourage the use of alternate materials (some of which have been around for a thousand years), and create a basis for code officials to approve the use of these materials by creating some guidelines and/or methods of installation.